If you’re looking to draw attention with the help of accessories – read shoes – Katy Perry’s latest project is the ONE for you. If you know the singer, her bubbly, colorful style gets all the attention, no matter where she goes. And now she’s inviting all to have a little bit of fashion fun! There’s more to Katy Perry than her voice and looks. She’s also a talented woman with a savvy business eye- Katy Kat make-up with CoverGirl, Katy Perry Parfums, music merch, and more. Katy Perry launched her new line of footwear earlier this year and is a collection of styles from high heels to platforms, sneakers, and boots. What’s more, if you’re trying to build up your scene wardrobe, know that these celebrity shoes won’t bring ruin over your savings. Known for her fashion flair, Perry has also garnered the attention of former President Barack Obama and former Secretary of State and 2016 Presidential Candidate Hillary Clinton. What you need to know about this collection? The shoe collection is feminine and versatile so any woman will find something that suits her. It has day models, but also party-hard-at-night ones. It has classic shapes like stilettos, sandals, boots and sports shoes, but also fun ones to compliment your look. You can wear some items for their casualness, while others will become closet staples and heads-turners at parties. Even though there are many models to choose from, the singer divided them into themes to make your life easier. This summer she had styles called Solestial inspired by the stars, Hav’ana inspired by Cuban tourism which featured brightly colored sandals with fruit embellishments or fringe, and Pump Up the Jam for the ‘90s decade. Bjork, Rihanna and Chloe Sevigny were her inspiration. Currently, her Collections include “Tribe” which features suede boots and fuzzy, animal embellished slip-ons, “Nocturnal” which also has boots as well as stilettos and slip-ons, and “Grandma’s Closet” featuring button embellished boots and pumps, flats and sneakers with pearls, and heels made from spools of thread. 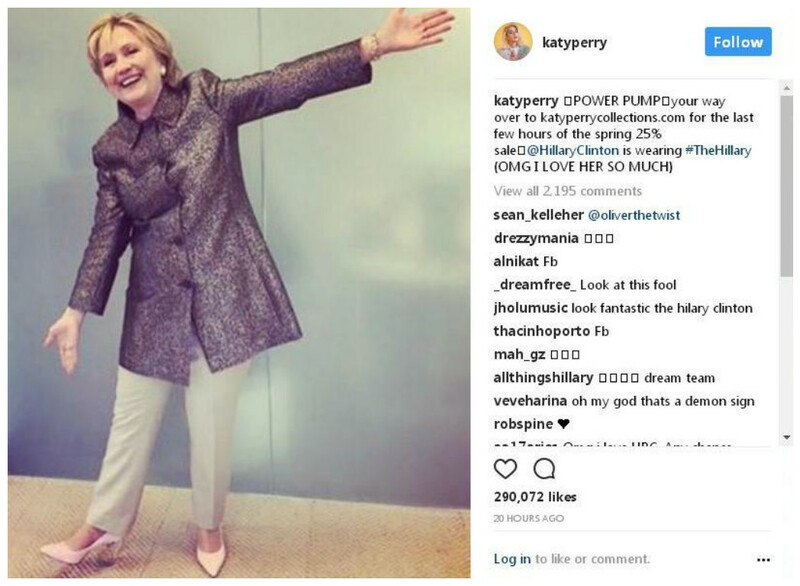 For those that like to get into the holiday season, Katy Perry has designed some spooktacular designs for this Halloween. Shoes can make or break a musician’s outfit. When you opt for an eclectic piece which everybody will notice, there’s no going back to fashion obscurity. Shoes can also elevate your mood with the help of colors or “height” and they should definitely feel like an extension of you and your personality. You can mix every piece of Katy Perry Collection footwear to match various outfits, so you can stand out each time. Someday you can go for bold colors with rainbow accessories, while others you can go for all black or a red pair for a splash of color. If you’re feeling frivolous, there are also some fluffy models in sweet shades. The main styling advice is to learn to have fun with fashion with the help of colors and crazy prints. Katy Perry is known for her bold style and living life at full throttle. She knows that some days you need a killer pair of orange shoes, while others you crave the comfort of a minimalist pair of golden sandals. It’s vital that you leave the bold models to breathe with simpler outfits and finish simpler ones with colorful accessories. This collection is also great for pop art inspired looks or color block ensembles. And if you have to go to a black tie event, why not do it with a mischievous and kiddy pair of shoes in the shape of a black tie. No, really, she has all crazy and playful models for you to choose from! This is just a mere sampling of the Katy Perry Collection. 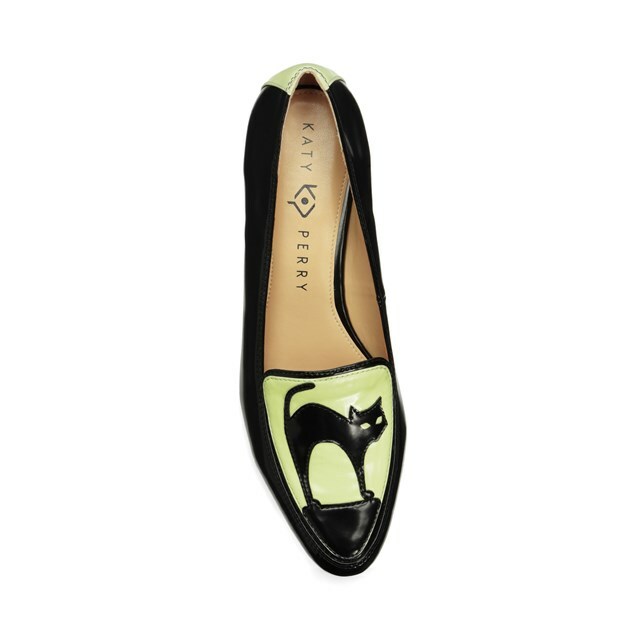 For more on Katy Perry’s shoes and some “behind the seams” info, visit her site HERE. Disclaimer: Guitar Girl Magazine is a participant in the Amazon Services LLC Associates Program, an affiliate advertising program designed to provide a means for sites to earn advertising fees by advertising and linking to Amazon.com. Additionally, we participate in various other affiliate programs, and we sometimes get a commission through purchases made through our links. You will pay the same price through these links as you would if you went directly to the site. This keeps us bringing you great content for no charge!